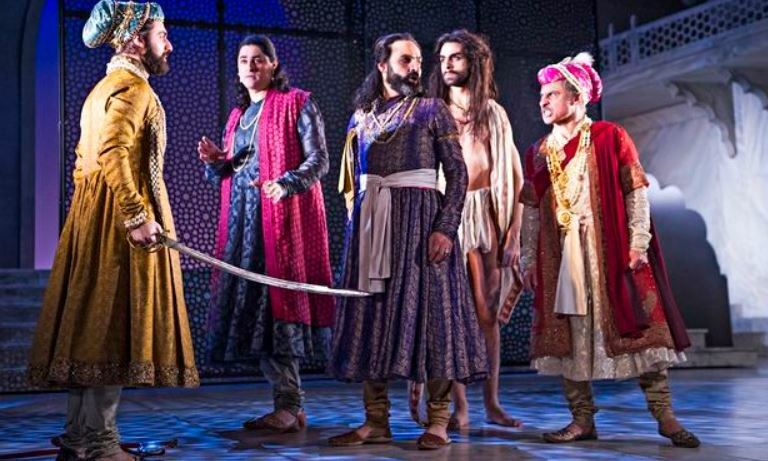 Can theatre & creative arts transform conflict? Wednesday 1 April at Rich Mix, 35–47 Bethnal Green Road, E1 6LA, the latest in International Alert’s Peace Talks, The Art of Building Peace. Conflict resolution around the world desperately needs imagination. The transformative power of performance and other arts is enormous. Art can capture imaginations and breathe life into the heart of peacebuilding. Technocrats and economists may well disagree but theatre, film, photography and painting has much to offer the world of peacebuilding and conflict. Join our panel at the Rich Mix, a community arts hub in east London, to discuss how art can engage and motivate people in ways that the left brain alone cannot. This event is inspired by Dara, a play by Pakistani director Shahid Nadeem originally performed by Ajoka Theatre, and currently showing at the National Theatre in London. Dara is a bewitching tale of Indian history that offers a dramatic perspective on how 17th century Moghul politics impacts on today’s conflicts. Anwar Akhtar, Director of The Samosa, a culture and politics site with a focus on Britain and South Asia. Anwar is a production consultant on Dara and is a former director of the Rich Mix. Ruth Daniel, Co-Director of In Place of War, University of Manchester, which supports artists living in sites of war to create social change through creativity. Shahid Nadeem appears in our film “Pakistan: the Pride and the Promise” shot in Pakistan as part of the Olympic Truce, building links between religious and civil society organisations in Pakistan and diasporic groups in the UK. Dara runs until 4 April at the National Theatre, Southbank, London SE1.